prizes(20000 for 5 top entries and 5000 for next top 10 entries). You need to write a #AadhaarMakesItEasy story of yours or some one you know's life. 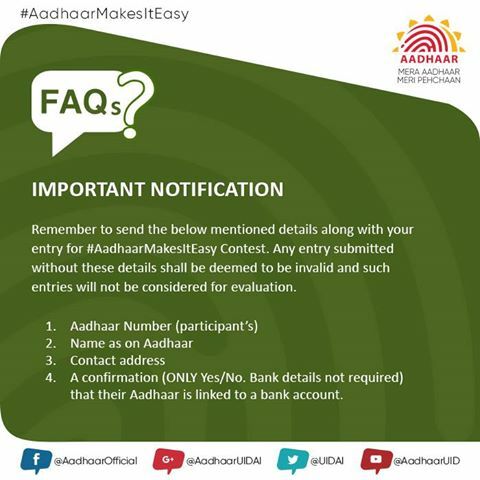 The Contest is open to the residents of India only.Non-Aadhaar holders are not eligible to participate. Word limit for the article is between 200 to 500 words.